Giant Hamster Run you take to the streets in Godzilla lake style running through but unlike the lizard counterpart you aren’t here to destroy. 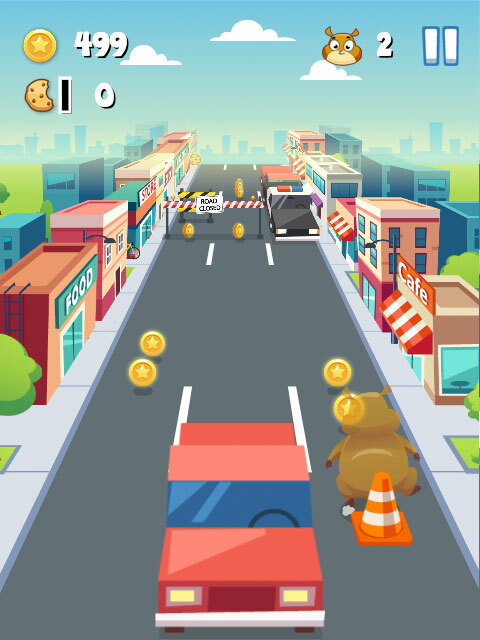 Jump, slide, and swerve your way around the obstacles that litter the streets such as cars and traffic cones. Hit too many and it’s game over for you. 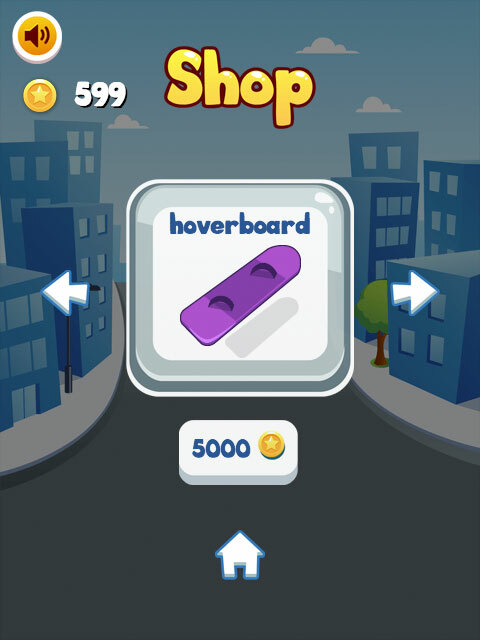 Collect cookies for power ups to extend your life and the star coins that litter the streets allow you to purchase items such as a skateboard or rollerblades. 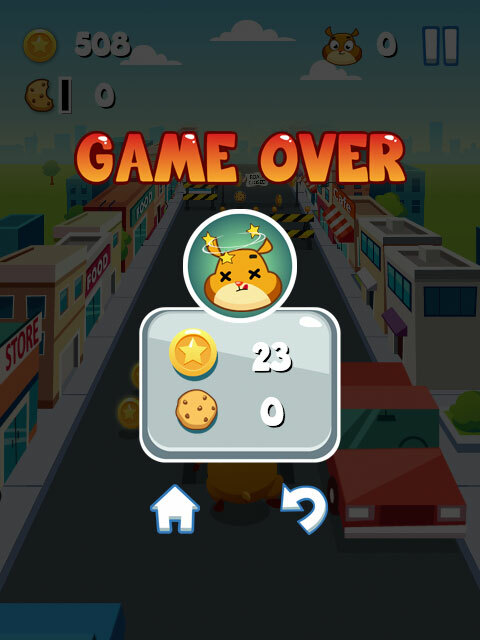 The infinite running gameplay is enthralling, and the difficulty keeps you hooked trying to max your score. Giant Hamster Run will fulfill every desire you want in a runner game, and it comes from me with my personal seal of approval that you will enjoy it. 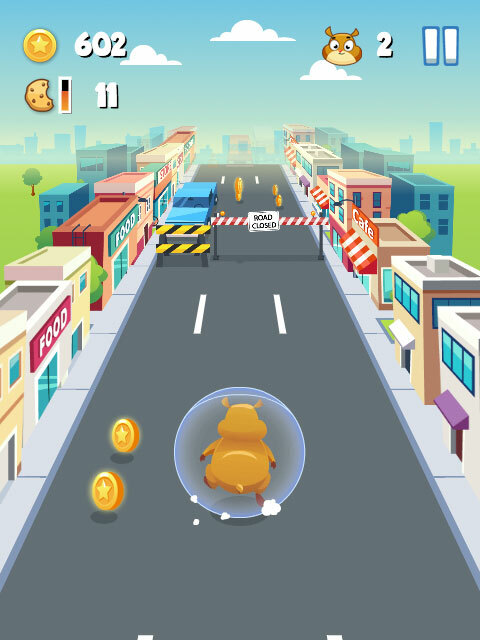 Remember to mention “HTML5Games.net” to receive a special deal!